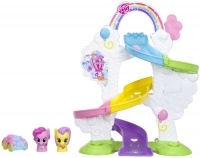 MLP - PLAYSKOOL PINKIE PIE RIDE N SLIDE RAMP - Pinkie Pie and her friend are ready to hit the road and go on rolling adventures! 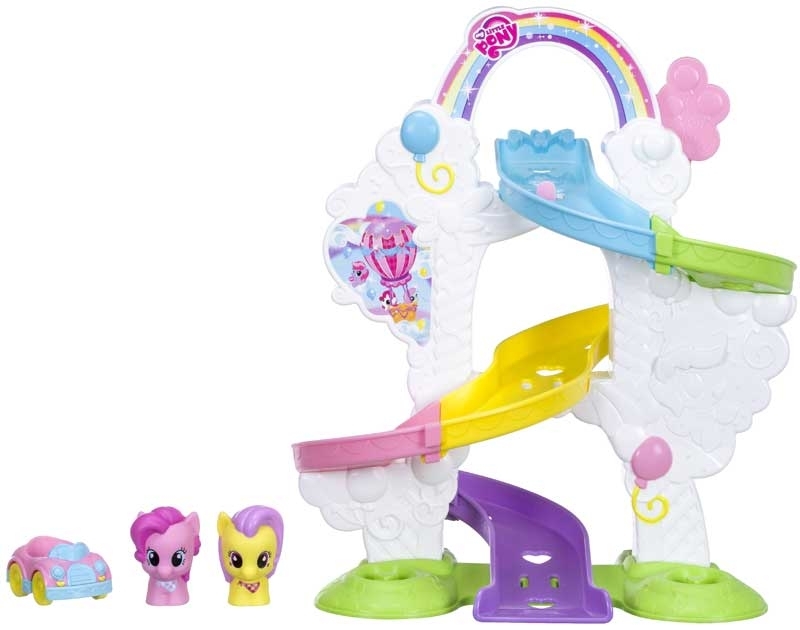 The Playskool Friends My Little Pony ramp set plays music as little ones roll their pony friends through this sweet world in their super-adorable cars. 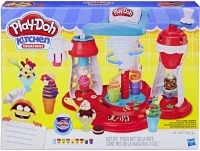 A push of the balloon level releases the pony car down the ramp and activates music and sound effects - or toddlers can engage in imaginative play with finding fun places to position and roll the cars. 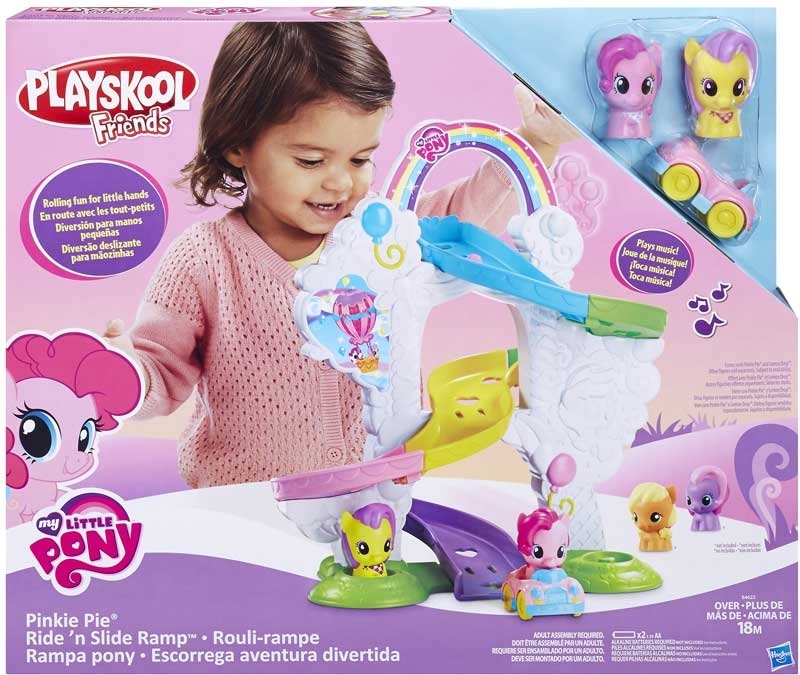 Includes two pony figures and one vehicle. 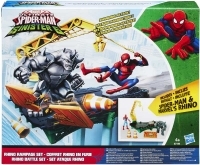 Compatible with other figures playsets and vehicles.